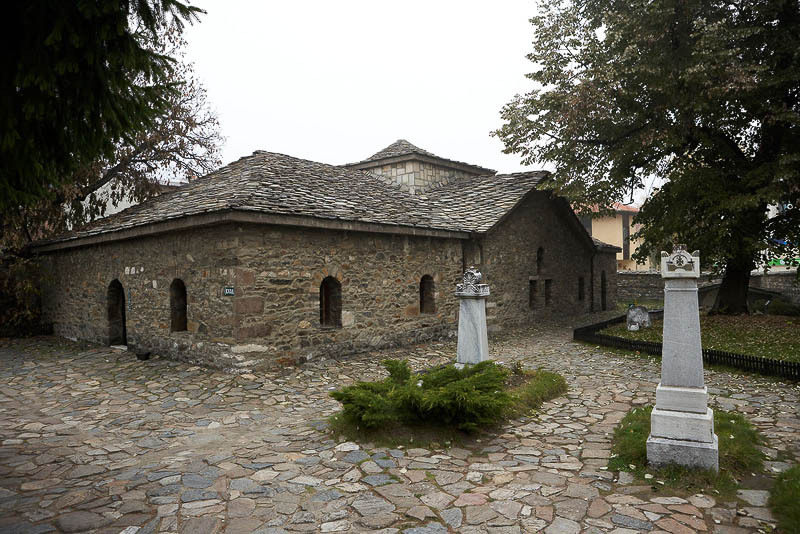 View of old stone Orthodox church with tombs and stone yard. Little Christian temple. Christian religion and orthodox faith.